I took majorly moong dal(1cup) and the rest were 2tbspn each. Wash the dals and soak them(together) in water for 6-7hours or overnight. Grind the dals with very less water, and with a piece of ginger and green chillies in a mixer. 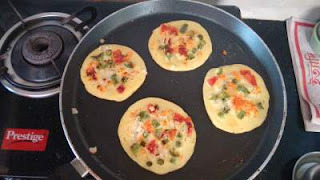 Take care that you do not add more water, or else the batter will become watery.Remember we are preparing an uttapam, so we need the batter a bit thick. Chop the following finely - onion,tomato,carrot,capsicum,green chillies,corinader leaves. To the ground batter add whole jeera,pinch of haldi powder and salt as per taste. Adjust the salt taste in the batter now, as you will not be able to add salt after making the uttapams. Add a laddle full of batter in the center and lightly dab it. Put in pinch of all veggies over it and adjust salt for the veggies. Let it cook for 3-4min and then flip it to cook on the other side. Wishing everyone a very happy and prosperous New Year 2018 !! 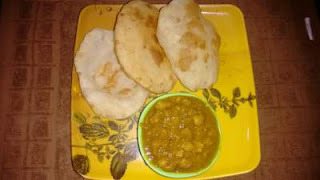 Bhature chole is a famous Punjabi dish which is a combination of chana masala and bhatura, which is a fried bread made from maida or all purpose flour.I have prepared chole many times and we used to have it with roti.This was the first time that I tried making bhatures and we realized that having chole with bhature-the combination is so delicious that you shall never want to have chole with roti anymore :P My son loved them too and had bhatures as-is just like he eats puris. First prepare the dough for the bhature as per the below steps. Take maida in a large bowl. Make a well-like in the center of the maida. Add curd,salt and sugar in that well. Now add some oil and mix. Add little warm water and knead the dough. Knead the dough really well. It should be a soft and smooth dough. Keep it covered with a wet muslin cloth. In the meanwhile the bhature dough is kept covered, prepare the chana masala as below. Wash the chana and soak it in water for 7-8hours or overnight. Boil the chana with water and 2-3tea bags. The tea bags give a nice brown colour to the chick peas. Roughly chop the onion,tomatoes,green chillies and coriander leaves. Heat oil in a non-stick pan/kadhai. Put in the onions and fry till light brown. Fry it for a while. Add the chopped tomatoes,salt,haldi,mirchi,dhaniya,jeera powder. Let it cook till the oil separates out. Now add the boiled chanas. Add sufficient water as the gravy. Put in the chole masala powder and cook for 5min. Prepare round balls out of the dough. 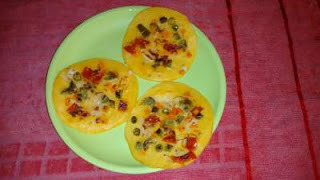 With some maida roll with a rolling pin into an oval shaped puri. Fry the bhatures till light brown on both sides. Chole bhature is ready to serve. Wishing everyone a Merry Christmas and here goes my cake recipe which I prepared on Xmas.I used half wheat flour and half all purpose flour so that the cake gets a bit more healthy.I tried to include bananas so that my fussy kid can get the fruit through the cake..just a medium to feed fruits.A simple and yummy home made cake which am sure all of you will like. You can also blend the egg-sugar mixture. While blending chop the bananas and add to this mixture and blend. Mix the atta, maida,baking soda and baking powder. Now add this dough to the egg-sugar-banana mix. 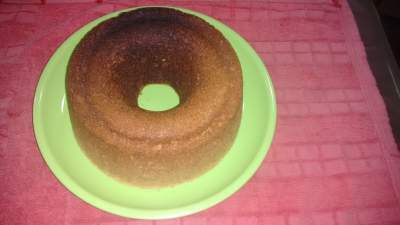 If you are using a cake pan,grease the pan and bake it for around 40min. 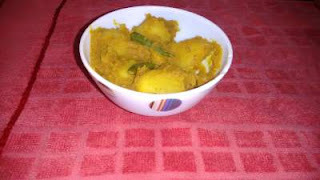 Dum aloo is a potato based dish which is a part of Kashmiri cuisine.In Bengal it is typically known as Aloor Dum and served as a hot accompaniment with pooris or luchis as they are called in bengali .The recipe I have posted below is obviously the bengali version which has certain differences with the kashmiri one.So please do give it a try..
Cut the potatoes into medium size cubes. Chop the onions,ginger,garlic,green chillies,tomatoes roughly. To prepare the garam masala, dry roast the following ingredients and then make a paste out of it - dhaniya,jeera,sukhi laal mirch,elaichi(choti and badi),dalchini,laung,kaali mirch,khuskhus.This powder remains good for many days or months when kept in an air-tight container. To reiterate the masala names in english - coriander seeds, cumin seeds, red chilly,cardamom,cinnamon,cloves,black pepper,poppy seeds. Now heat oil in a non-stick pan/kadhai. Put in the potato cubes and chopped onion and fry till light brown. Make a paste of the ginger and garlic which you chopped. Add the paste and fry. After 5min add the chopped tomatoes and gren chillies. Let it cook until the raw smell of ginger-garlic goes away. It will take about 5-7min on medium flame. Now add the salt,red chilly powder,haldi powder,dhaniya jeera powder. Let all the masalas cook for another 2-3min. Now add water and let the potatoes get cooked well. You can adjust the amount of water as per the amount of gravy you require. Once the potatoes are cooked, add finely chopped coriander leaves and the garam masala powder which we just prepared. Serve delicious aloo dum with phulkas/parathas/pooris.